"I enjoy all of my professors because they're fun to be around. You can talk to them about anything - no matter how strange or out there it is. It opens up more arguments in class, and more things to talk about." The perfect preparation for success on the LSAT and in law school. Learn how to communicate ideas more effectively and persuasively in preparation for a successful career within the legal system. Lewis' Philosophy of Law degree is the perfect preparation for success on the LSAT (required for admission to law school) and law school, but also wonderful preparation for a wide variety of careers which require intensive communication and critical thinking skills, including psychology, social work, education, business, public administration and health care. Many students choose to minor in Philosophy in Law if they are majoring in another program but interested in pursuing law school after Lewis. 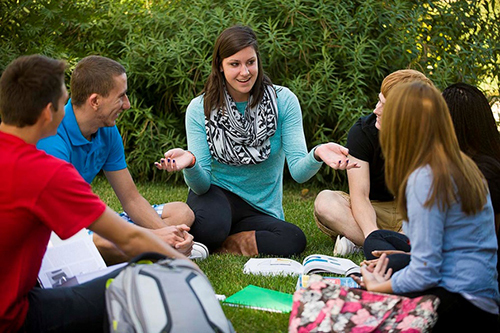 Philosophy of Law is a popular dual major, often earned in combination with programs such as Political Science, English, Physics, and Criminal Justice. Learn more about law school admission requirements and why Lewis is the perfect place to prepare for law school.